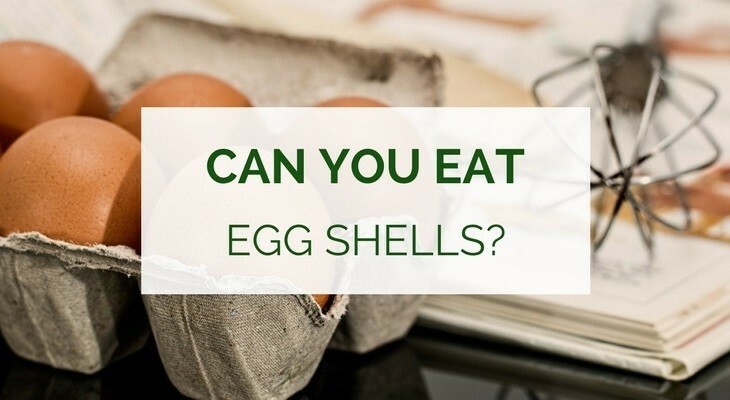 →Can You Eat Egg Shells for Calcium? 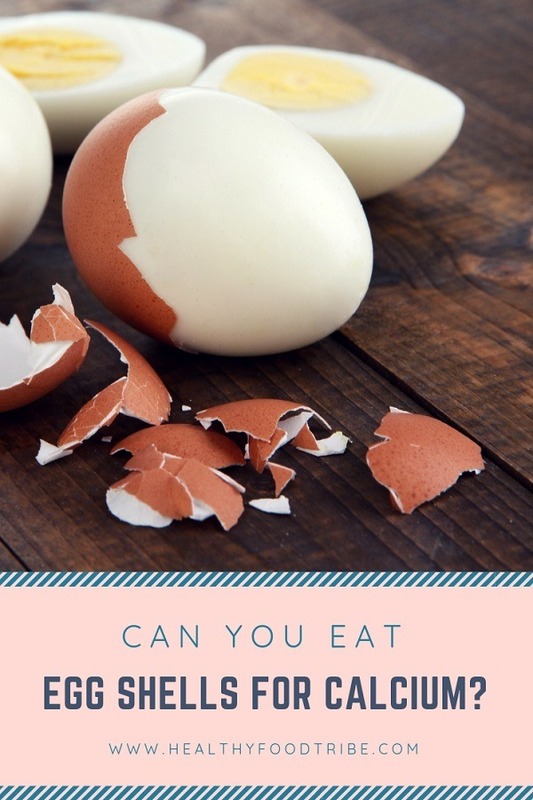 Can You Eat Egg Shells for Calcium? Most of us eat eggs regularly and then throw out the egg shells not realizing that there’s actually quite some nutrition hidden in egg shells. Since about a year ago I have been consuming egg shells on a regular basis after one of my neighbors randomly told me about her diet. At first I was very much surprised to hear that she was eating eggshells instead of just throwing them away because I never knew that egg shells were edible. But as I learned more about it, I decided to try it for myself. I was already eating free range eggs every day, so I thought, why not try eating the shells too. Are eggshells good for us and how can we best eat them? How to Eat Egg Shells? What to Do With Powdered Egg Shells? A lot of people actually don’t know (including myself up to a year ago) that egg shells are indeed suitable for human consumption. It’s important to understand why egg shells could be a good addition to your diet. It’s also important to know how to prepare and store crushed and powdered egg shells as I wouldn’t recommend eating them straight after pealing an egg! So why would you consider eating eggshells? Can’t we just toss them in the bin like most people do? Sure you can, but then you may be missing out on some nutritional goodness. The key nutrient in egg shells is calcium, or calcium carbonate. In fact, egg shells consist of 95% calcium carbonate. The makeup of eggs shells is very similar to our bones and teeth so it’s no surprise that egg shells promote bone and teeth health. According to this study, egg shells are a great source of natural calcium. Half an egg shell can provide you with the recommended daily calcium intake. The study also reveals that the best way to consume and digest egg shells is in a powdered form. And according to this NCBI study, the natural calcium in egg shells can have positive effects on bone density and can even help prevent and treat osteoporosis. This makes egg shells an excellent alternative for calcium supplements if you’re average daily calcium intake is a bit low. So let’s have a look at how we can prepare and eat egg shells. When eating eggshells, it’s important that they are properly cleaned and free from any bacteria. Luckily it’s not all that complicated or time consuming to prepare egg shells for consumption. Boil (organic) egg shells for around 5 minutes to properly clean the shells and remove bacteria. Important: Don’t remove the membrane as this part of the shell is nutrient rich. Let the shells dry for a bit. Bake the dry egg shells in the oven for around 10 minutes at 180 degrees to further wipe out any bacteria. Note: You can skip this step if you’re confident that the shells have been cleaned enough after boiling. The oven will make the shells crunchier though, which makes the grinding easier. Grind the shells in a coffee grinder until you have a nice powder substance. You can then store the powder in a container and use it when you want to! You can also choose to skip the coffee grinder and throw the shells straight in the blender, especially if you have a good quality blender. But because I sometime consume the powder in other ways too, I prefer to use my coffee grinder and store the powder for later use. So once you’ve cleaned and crushed egg shells into a powder substance, what do you then do with them? I personally add egg shell powder to my smoothies as it’s the easiest way to get my calcium in. On average it’s just one tablespoon per week which is enough for me. Especially considering the fact that egg shells are 95% calcium. But there are other ways to consume powdered egg shells. You can easily spread a little bit of powder over a pizza and you won’t even notice it. You can also simply add a small tablespoon to a glass of water or orange juice and drink it for a quick and easy calcium fix. Or you can add some to your pasta as it won’t affect the flavor of your dish at all. Taking dietary supplements are one way of increasing your calcium intake, but I do recommend correcting any calcium deficiency you may have with diet changes. If you’re currently taking calcium supplements then egg shells are also worth considering as a replacement of these supplements. I used to take calcium supplements but over time I have tried to increase my calcium intake by making small changes to my diet, including blending egg shells. 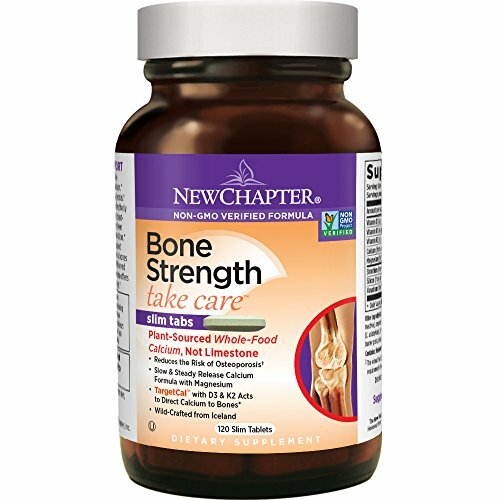 If you are indeed low on calcium and prefer to take calcium supplements, make sure you buy them from a reputable brand and read the reviews. There are lots of different types of calcium supplements available which can be quite confusing. Read more about calcium supplements and which ones are best for you. If you prefer not to eat egg shells or if you have too many of them, here are some more tips to put your egg shells to good use. If you produce compost at home, the calcium and minerals in egg shells can actually make compost a lot richer. Better than throwing them away! 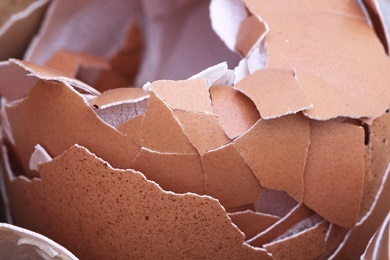 The membrane in egg shells is believed to be treating dry skin very well. Simply place the membrane on the skin where it feels dry and leave it there until the membrane dries out. It’s also supposed to help with healing small skin cuts. Chickens need calcium too so you can certainly feed them egg shells to top up their calcium intake. So if you keep chickens at home, consider feeding them some egg shells. Make sure they’re crunched properly before feeding. Not sure if this is an old wives’ tale, but apparently egg shells are not very popular with garden pests. Sprinkle egg shells around plants and keep these unwelcome visitors away from your plants. Add a handful of crushed egg shells to the soil before planting tomato plants and let it slowly dissolve. This will add much needed calcium to the soil which will benefit your plants. Believe it or not, but egg shells can actually make your coffee taste a lot sweeter. If you add crushed egg shells to your ground coffee before brewing, then this will reduce the bitterness of the coffee. Not for everyone but worth a try! Crunched and baked egg shells can be eaten by birds too as a calcium supplement. Simple place a small amount in a bird feeder and they will appreciate it. Just make sure the shells are crunched to very tiny little pieces. The key to eating egg shells and other calcium rich foods is moderation. Egg shells are extremely high in calcium so it’s definitely not recommended to start eating egg shells as if your life depends on it because that obviously won’t do you any good. Too much calcium can actually be harmful to your body. I love adding small doses of crushed egg shells to my green smoothies instead of taking calcium supplements. Egg shells provide natural calcium so for me to re-use egg shells that I would otherwise throw in the bin is a logical choice. However, if your average daily calcium intake is already sufficient, there really is not much need to add crushed or powdered egg shells to your diet. When I was 9 my best friend and I used to eat egg shells all the time as we were convinced that it would make us smarter! Maybe not a proven side effect but the right idea nontheless!! I have been doing this. But it has occurred to me that I have been boiling the eggs in fluoridated water and therefore ingesting lots of fluoride. Thoughts? We all get fluoride at the dentist. Or at least I still do (I’m in my 40s)/ My dentist told me that i have great teeth and that growing up the towns water must have had lots of fluoride in it because no cavities. I still use a mouthwash that has fluoride in it. My opinion fluoride in my water is not at the top of the list to be concerned about. Fluoride is modestly beneficial for your bones and teeth, but poisonous for your thyroid. It is my understanding that there is evidence that applying fluoride to the teeth can help. But when taken internally it actually can keep you from using the calcium in your system in fact even weakening/depleting your bones. Most of the fluoride added to our water supply is a known poison from the aluminum industry and is picked up and transported by hazardous waste trucks and and is considered to be a serious neurotoxin that the industry used to send large sums of money to dispose of. A lot of people scare me from doing this, saying that if you don’t grind it enough, you can have your intestines cut from the eggshells. Any opinion on this? Hi Andrea, I wouldn’t worry about that too much. The grinder does a really good job and leaves no sharp bits of egg shells behind. Alternatively you could try using a blender which is even easier. Thanks for your comment and good luck! When using shells from previously hard boiled eggs, Do I still need to boil the shells again after I have peeled them? Or can I go straight to baking them? Hi Ann, no need to boil them again, simply bake them or put them in the blender if you have one. Good luck! I actually rinse my raw eggs (which I use in my smoothies) in vinegar and water for approx. 15 minutes. Then I rinse and dry them off and put back into the carton and back in to the fridge. Wham, one egg goes directly into my NutriBullet. You never know the egg shells are in the smoothie. I have been doing this for approx. one year now and still alive. Thnx for getting me informed. Pls can an 11 months baby take egg shell too? Will it not be too tough on his system? Hi Judy, glad you liked the article. I personally wouldn’t recommend giving egg shells to a child at such a young age. I have foot bone fractures, and with a cast for a month, my doctor was baffled, as to why they are not healing. Left to my own devices, a friend told me her friend had non-healing pelvic bone fractures, and took 1tsp a day or organic eggs shells. To my surprise, within 3 weeks of taking organic eggs shells in a smoothie, I am able to walk for short bits of time, and not having to use my scooter. I am 59, and fractures started with a misdiagnosis of a left arch tendon, as it was actually a ruptured legament, and walking on it for over a year caused my fractures…long tough road. Thankful for the knowledge of organic eggs shells…pass the word! When I discovered that vinegar softens eggshells, I started just making pickled eggs without bothering to peel them after hard boiling. Just throw ’em in a jar full of vinegar and spices to taste, and store them in the fridge. It takes a couple days for the shells to soften. After a week or so they’ll be perfectly rubbery, and you don’t really notice that they’re there. Garlic dill is my preferred combo – but you can do it with any of your favorite spices. No baking, no peeling, no grinding, no sharp edges, lots of flavor! Thanks for the tip Rosemary, I will definitely give that a try! The nutrients in the egg membrane are almost completely destroyed by boiling. Hi, must they be boiled first or can somebody just wash them in clean warm water? What is the purpose of hard boiling? Won’t it kill all the nutrients? I personally wouldn’t take the risk of not boiling Joyce, even if it kills some of the nutrients. Perhaps just boil for 2 or 3 minutes instead of 5 minutes what I usually do. I don’t have a stove but i have a small egg cooker that you plug in. Do you think that would still be enough to kill bacteria? Could i boil some water and let them sit in that water for a while in a bowl? Using the egg cooker should be enough I’d say. How often should I take and quantity. Will taking a spoon a day be harmful? Hi Stephen, consuming egg shells would only make sense if you’re calcium deficient. It’s best to consult a doctor or dietician to work out whether you’re low on calcium before topping up with egg shells or supplements. A normal and balanced diet should provide you with enough calcium. This is a nice article, being a natural source of calcium I want to believe it will be a better supplement compare to other available ones. I will try it out. Hi there. I got diagnosed with osteopenia about 7 years ago. At that time, my doctor wrote me a prescription of fosamax. After learning about what the side effects would be, I stopped taking it. I’ve been taking about 1200 units of supplements a day. I’m due for a bone scan this week. I will try to do this and see if it makes a difference. Thanks for the article. My question is, the “organic” eggs, why should or does it have to be organic eggs? Could regular store bought eggs work? Hi Sophia, doesn’t necessarily need to be organic, it’s just that I have a general preference for organic foods, and in the case of eggs, they should ideally be free range. The requirements for labeling eggs as free range are practically meaningless. Omega-3 eggs are the best nutritionally because they actually require feeding the hens a healthier diet. Organic and free range mean very very little for eggs and chicken, unlike produce or beef. Thanks, I’m excited to try this too. I was like Faye and diagnosed about 4 yrs ago with Osteopenia and put on Fosamax which I took for about 9 months and stopped because I heard so much about the side effects. I’ve been just taking OTC calcium supplements ever since. I am really happy to learn this for myself and my dogs. Should I take vitamin D with the egg shells for absorption? Can egg shells reverse tooth decay? I saw that on a fb page. Hi Brenda, as far as I know egg shells can’t reverse tooth decay, probably best to ask your dentist about how to deal with this problem. Vitamin D does help with calcium absorption but it would only make sense to take vitamin D supplements if you’re deficient. I was told that if we consume crushed egg shells, it would be most beneficial. I am 67 and suffer from arthritis. Hubby is 72 and suffers from osteoporosis. We are both very fit and was wondering whether we would benefit from consuming the egg shells, would this work for arthritis and osteoporosis? We live in South Africa. How do you store the powdered eggshell? Do you think it needs to be refrigerated? I personally don’t refrigerate it May, but I don’t store for very long either. Have been consuming egg shells for calcium for three years. My yearly blood test calcium score increased each year. I was looking for an alternative to calcium supplements and I’m thrilled with egg shells. My daughter gave me a new coffee grinder last Christmas to grind my shells. Actually, a new batch is in the oven now :). Wow, this article is interesting, it makes eggshells worth trying. I never thought eggshells could improve coffee taste. I will definitely give it a try.